Trey, known as III in the Japanese version, Three in the Italian version, and born Michael Arclight, has a gentle personality and loves his family. Like his brothers, he swears revenge on Dr. Faker, though he cares more about the family’s welfare, eventually putting his faith to save them in his friend Yuma Tsukumo. Like his brothers, Trey wears formal medieval-style attire. However, in contrast to his brothers, Quattro and Quinton, who wear white and dark clothing, Trey prefers brighter colors, such as red and white, which reflect his more caring and sweet-tempered personality. Trey has short, pink hair which curls slightly at his neck and emerald green eyes. After Trey enrolled in Heartland Academy, he was seen wearing his own Heartland Academy first-year student uniform. He has a pale orange Duel Gazer Tattoo similar to the ones his brothers, Kite Tenjo, Dextra and Nistro use. 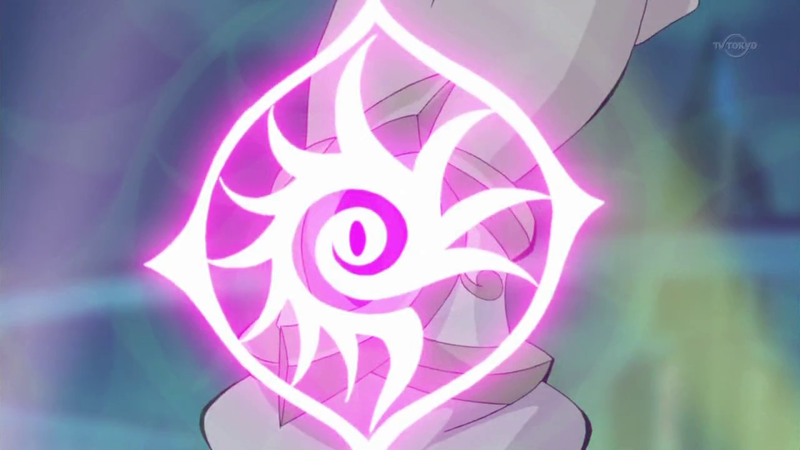 Like his brothers, Trey has a crest on his body, his being a green insignia on his left hand which resembles a flower. Trey has a sweet, friendly and gentle demeanor, unlike his brothers’ cold and/or brutal nature. Trey loves his family a lot and doesn’t want them to fight, attempting to mediate disputes between Quattro and Quinton. Dutiful and trusting, Vetrix stated that Trey always completed his missions, which are usually important. 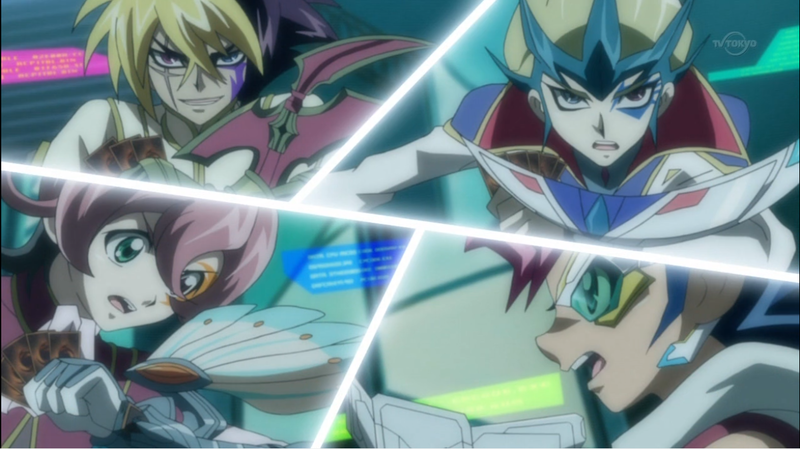 Although Trey is normally kind and slow-tempered, he can get serious if it is about Duels because he still wanted to Duel Shark, even after Vetrix told him to feel free to lose after he hands Shark “Number 32: Shark Drake”. His caring personality is also reflected through his Duels, within his Tag Duel with Quattro, he used his cards to not only protect himself, but Quattro as well. Trey has a strong interest in ancient history and in OOPArts, which seems to be rooted from the fact his father researched them. Trey was able to recognize all of Kazuma Tsukumo’s ancient artifacts, in which he shows amazement. When Trey eventually gains a portion of Vetrix’s power, his personality hardens and bears a colder, more serious demeanor in his desire to meet his family’s expectations, destroying many of his own beloved monsters, including his favorite card, just to reduce the ATK points of Yuma’s monsters. He became cruel and sadistic just like his older brothers, even attacking a helpless Yuma and proceeded to laugh evilly when Yuma was hurt. Following Vetrix’s reformation, Trey retains his peaceful demeanor, but has grown more confident and shown fierce protectiveness towards Yuma. Trey has also gained a penchant for mocking his enemies. Like the rest of his family, Trey possesses a crest that gives him a wide range of abilities. One of its primary capabilities is the power to negate the control a “Number” card exerts on its host. Another ability is to block any attempt to remove a “Number” card from Trey, such as Kite’s Photon Hand, or Astral’s powers. He was shown capable of creating Overlay networks in order to move from one place to another. 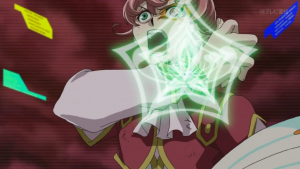 At one point, Trey’s crest was augmented by Vetrix’s powers, which allowed Trey to use his father’s more formidable abilities, such as erasing Yuma’s “kattobingu” from his memory, and manipulating the AR system to seal and destroy Astral. This also allowed him to use “Number 6: Chronomaly Atlandis”, but Vetrix stated that continued use of this power would wear him down physically and eventually he would lose control of his powers. This also caused a change in his appearance, causing his body to be covered in Roman-style armor, and later it caused the markings from his Duel Gazer to cover the rest of his face. It also caused a change in his personality, making him more brutal. Trey’s crest comes with a price, being directly connected to his soul in exchange for power, he will fall comatose and his soul will become “exhausted” if he loses a Duel while wielding a powerful “Number”. 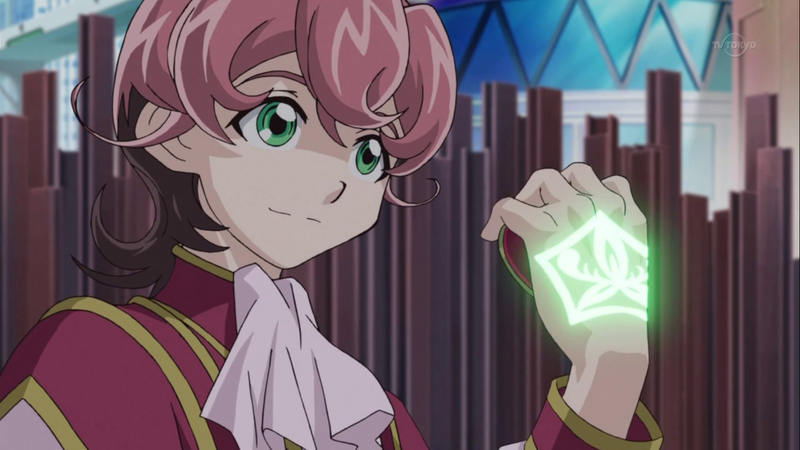 He and his brother, Quattro later acquired a bracelet that was invented by their brother, Quinton, granting them the abilities of their father’s crest once again. 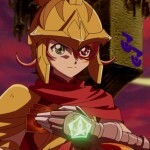 Like Quattro, Trey’s crest caused him harm when he ranked up Number 6 to “Number C6: Chronomaly Chaos Atlandis”. Trey was given “Number 32: Shark Drake” (which was originally Quattro’s) as part of his family’s plan. He played it against Reginald Kastle and gave it to him after the Duel as part of the plan. He utilized “Number 3: Chronomaly Machu Mech” as part of his Deck and was eventually given “Number 6: Chronomaly Atlandis” by Vetrix. After losing to Yuma Tsukumo, he left the two “Numbers” to him. 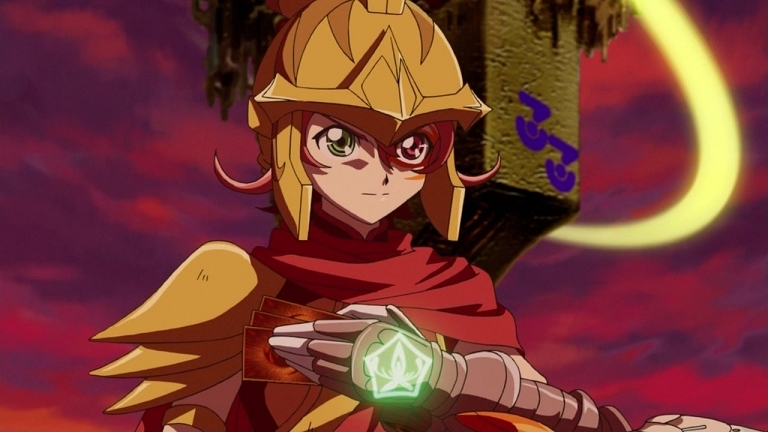 When Trey returned to aide Yuma against the Barians, Yuma gave his two “Numbers” back to him to use once more and also allowed him to keep the “Number 3: Cicada King” they won when they defeated Erazor. “Cicada King” would turn out to be a fake though and it was destroyed when this was revealed. Trey plays a “Chronomaly” Deck focused on swarming the field with Monster Cards to quickly Xyz Summon monsters with a variety of Ranks. He also uses a range of cards which increase the ATK of his Monster Cards such as “Chronomaly Pyramid Eye Tablet” and “Chronomaly Ley Line Power”. 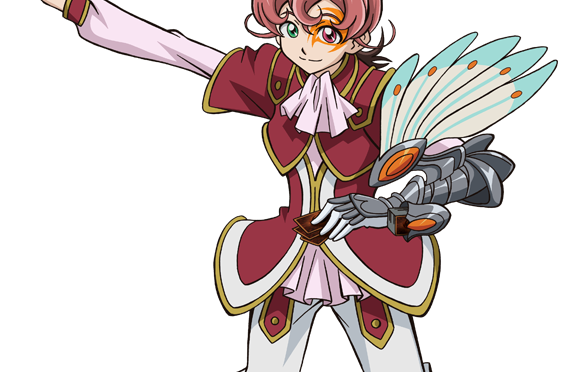 Trey mainly focuses on Xyz Summoning “Number 33: Chronomaly Machu Mech” which he then uses in combination with cards such as “Chronomlay Cabrera Trebuchet” to inflict large amounts of damage to the opponent. In addition, his Deck includes “Number” support such as “Number Wall”, “Number Lifter” and “Number 6: Chronomaly Atlandis”, also later gaining access to “Number C6: Chronomaly Atlandis”.